We all learned in elementary school how to count. Today, it seems many of our government officials were home sick that day. Voting should be one of the most simple, nonpartisan events in our country. You go to the polls, respond to the issues and that should be it. However, with this past election, that hasn’t been the case. 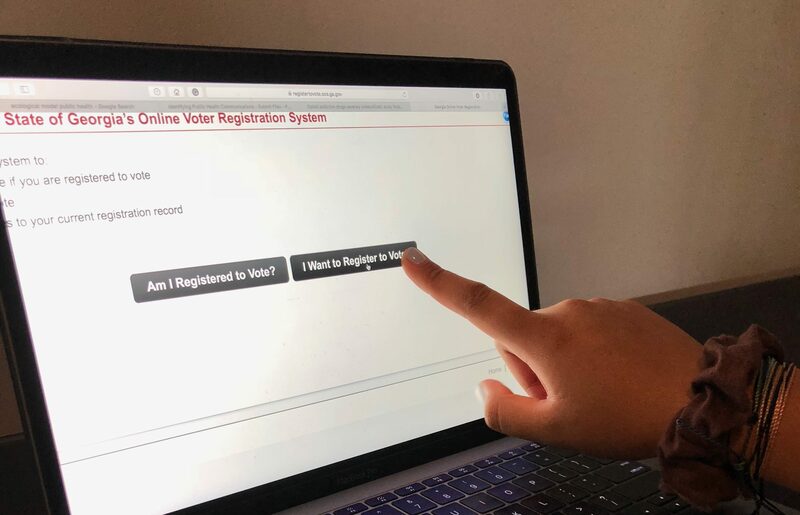 This past midterm election has seen several states’ government positions hanging in the hands of provisional and absentee voters and their uncounted ballots. Some of these ballots are just sitting in mail rooms and being neglected by officials. This voter suppression doesn’t always get as far as miscounting votes. We have seen it through missing power cords, broken machines and other avoidable deterrents. Election Day saw lines extending down and around hallways, making even entering the polling room nearly impossible. Because these lines were so long, many had to leave, abandoning their vote, to return home, make dinner, pick up their children or all of the above. Elderly civilians, ready for political action, cannot — should not — be expected to stand on tile floors for hours without the proper accommodations they deserve. On Nov. 8, a “rapid response” demonstration was staged in solidarity with dozens of others across the country. The event was called quickly in response to the appointment of Matt Whittaker as Attorney General, fearing he would obstruct special counsel Robert Mueller’s investigation. Though the Atlanta demonstration was called over conflicts in the Trump-Russia scandal, outrage over the election poured from the crowd in chants of “Count every vote,” and “We want Democracy.” The protest closed with organizers giving those hundreds gathered a phone number to call to check that the vote they cast on Election Day was actually counted. That such a measure should be necessary is a sorry shame. In light of alleged election fraud and meddling, there’s one thing both parties agree on: the Democrats want to count the votes. This leads into a larger problem, with CNN and Fox News battling it out to claim on one hand that the Democrats are spearheading efforts to stop voter fraud and on the other they’re trying to “steal” the election. Regardless of motive or party affiliation, Americans should be looking elsewhere for the blame. It’s not the Democrats wanting to count votes — it’s our democratic principles that inspire us to make sure the very basis of our democracy remains intact. Whenever a major news outlet says it’s the Democrats trying to count the votes (even though it is mainly them), they lead the story with partisanship. Instead, they should be focused on affirming that it is indeed our democracy that is at stake and the fabric of what makes our country function. Voter rights and election security shouldn’t be a red versus blue issue. It should be a red, white and blue, stars and stripes issue. So, next time you see the headlines calling for votes to be recounted, don’t think it’s the Democrats that want it or the Republicans that don’t. Think it’s democracy that needs it and the people who hope for it.